In some cases, it may be possible to repair a window instead of replacing them, but this is only if the problem is minor. If the window is damaged or warped, itâ€™s always better to replace the window to ensure that your windows won't be causing any problems in the future. Windows can be operable if they are slightly damaged but they can develop further problems if not in good shape. Windows allow sunshine to enter your house and this can provide an extra boost of heat during the winter. On the other hand, damaged windows can cause higher energy bills because the cold air will find its way into your home, making your heating unit work harder than it should be. If you are located in an area that is susceptible extreme cold and warm weather, you may notice condensation on your windows early in the morning. The effect of humidity and dew can create condensation, and if your windows are old or feature small cracks, that moisture can find its way into your home. When this happens, you are at a higher risk of growing mold inside of your house, which can end up causing respiratory and health problems. If you your bedroom is right next to a tree, you may get to hear the beautiful songs that birds sing throughout the day. However, when you want to get your beauty sleep, getting woken up by their songs will make you want to cut the tree down! Donâ€™t worry, you donâ€™t have to do this! All you have to do is replace your windows with energy efficient windows that will absorb the sound from the birds playing outside. When you want to hear their songs, you can just open up the window and sing along with them. Windows are considered one of the most dominant features of your home and if they appear worn out your property will look out of date. Get up close to see if your windows or the frames are decaying. If you have noticed that your windows have been leaking recently, it is a good sign that your frames are rotting and need to be replaced. For all your window replacement needs for your home anywhere in the Greater Toronto Area, you can trust the respected and professional team at Advance Windows and Doors! When you choose Advance Windows and Doors, you are guaranteed to get the best energy efficient windows and have them installed in regards to your budget and your timeline. 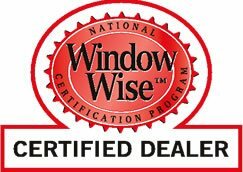 Give us a call today at (905) 670-5925 to learn more about our company and how we can help replace your windows!